A stoned sloth is the face of a new campaign from the NSW Government aimed at deterring teenagers from smoking cannabis with the tagline “You’re worse on weed”. The #StonerSloth campaign, jointly released with St Vincent’s Alcohol and Drug Information Service, has garnered significant reaction on social media, with #StonerSloth trending at number one on Twitter Australia on Saturday. 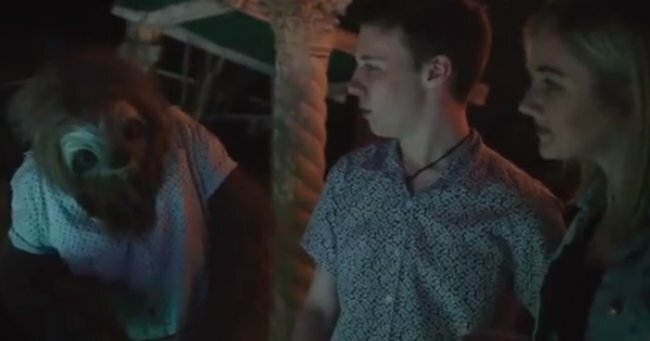 Many users are saying the advertisements, which depict a stoned sloth in various youth environments, are “ridiculously funny” and “an early Christmas present”. The campaign has its own website, as well as Facebook and Tumblr pages featuring videos, gifs and images, encouraging teens to stay away from marijuana. The Department of Premier and Cabinet told the ABC the campaign was designed to reach young people before cannabis use became a serious problem. “The ‘stoner sloth’ public awareness campaign has been designed to encourage positive behaviours in young people before bad habits start, and motivate discontinued use of cannabis before they become dependent,” it said in a statement. The department said younger people responded to campaigns highlighting short-term consequences of their actions. “Studies have shown that those who use cannabis on more than 50 occasions are nearly seven times more likely to manifest schizophrenia than those who have never used cannabis, and teenagers who smoke cannabis weekly or more are twice as likely as non-users to have an anxiety disorder in their late 20s, even if they stop using,” it said. It confirmed the campaign would not be run on television. In NSW, if you are found guilty of possessing or using cannabis, you could get a fine of up to $2,200, and/or other penalties including community service work or a term in prison of up to two years.